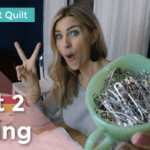 I can’t believe that over 200k of you have seen the first video of this Your First Quilt series! I figured this would be a helpful series, but I had no idea it would make that sort of impact. Today, I’m excited to share the final video of the series, how to label and wash (take care of) your quilt. Here is a photo of the quilt after it has been labeled and washed. 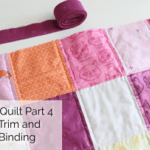 Want to take your quilting to the next level? In May I will be opening up my once a year online Quilt Along! This year, the pattern will be appropriate for beginners, so if that’s you – I’d love to have you! 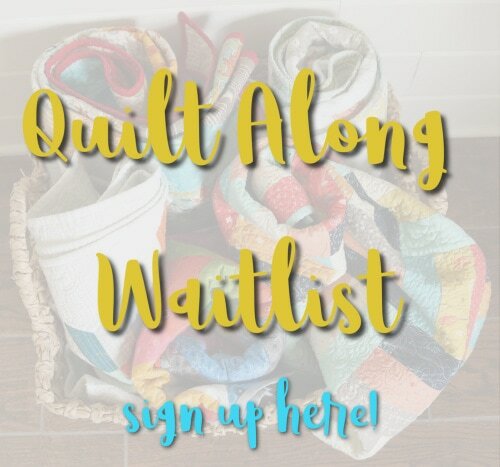 Sign up for the waitlist and be notified as soon as I have all the details ready. There aren’t many supplies for this part of your first quilt, but here are the things that I like to use. Take a light piece of fabric and write the details you would like to include on your label. 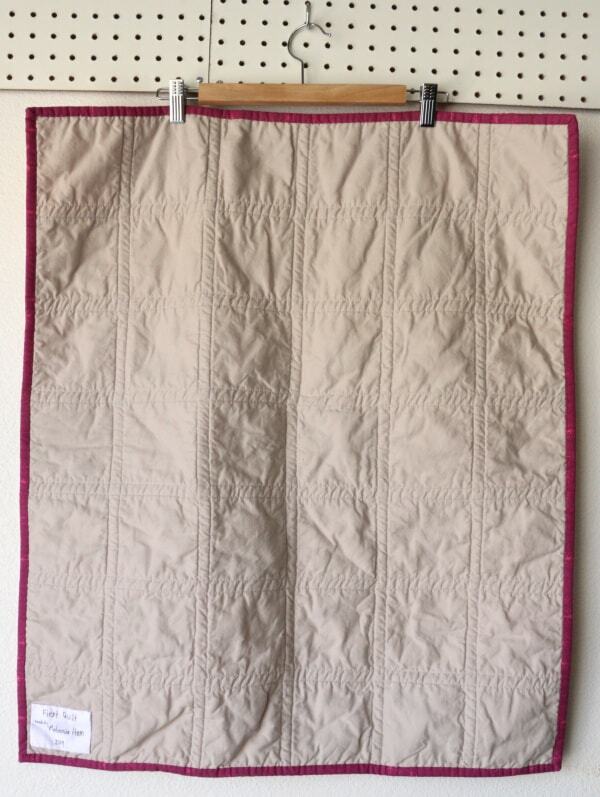 Leave a wide enough border that you can iron a clean edge and hand sew it to the back of the quilt. At minimum this should be your name and the date/year that it was made. You can also include who it is made for, a phrase like a bible verse or quote, the name of the quilt or any other details that you would like to remember. Iron around the edge and hand sew to the back of the quilt with the same hand sewing technique as the binding video. Make sure you don’t go all the way through the quilt, just the backing fabric. Here are a few fun pre-made quilt label options. HERE, HERE and HERE. 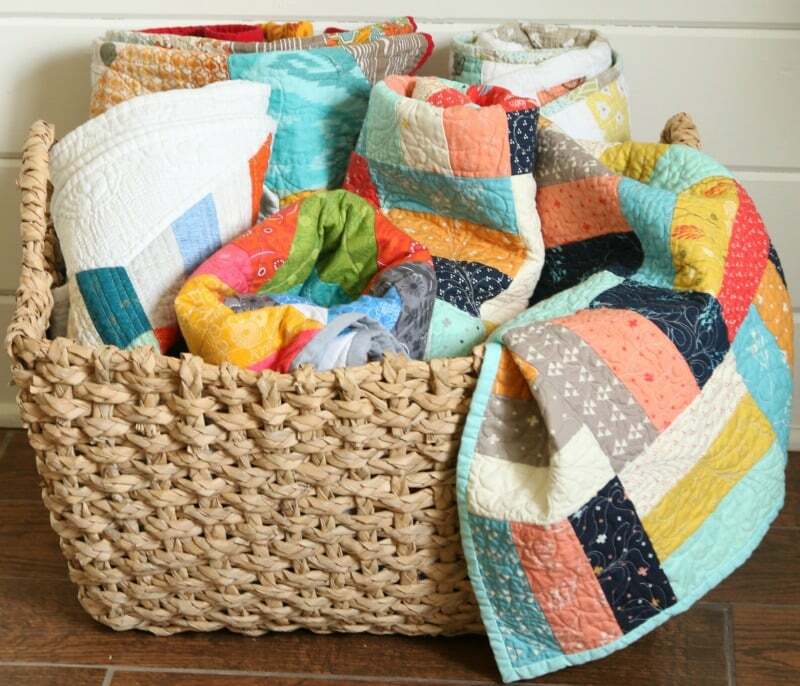 I believe that handmade quilts should be used and loved and that means they need to be washed! The first time you wash your quilt, wash it by itself in case there is any dye bleeding. It rarely happens, especially when you are using high quality precuts like we did (which should not be pre-washed). I add a color catcher or two just in case. I wash mine on cold with gentle detergent and tumble dry low. 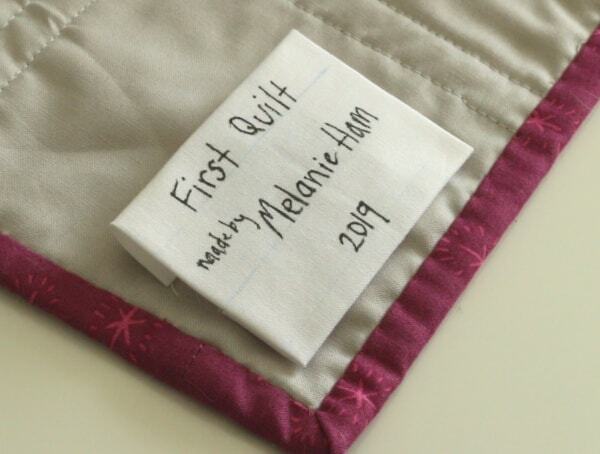 Here is the YouTube video for the final part of the Your First Quilt Series! I followed all your tutorials and made my first quilt sewed by machine!!!!! THANK YOU SO MUCH! I’ve done some quilts all hand-stiched during the years, but it was my first time with a sewing machine. About this I would like to ask you for advice, if possible. I could have up to € 100 for the scrapping of the old Singer 746 that I inherited from my mom, but that just doesn’t work anymore and buy a Husqvarna-Viking HClass E10. My requirement is to be speeded up in making the quilts, so make the edges and possible basic quilting in straight lines or diamond shapes because the rest I like doing it by hand. Moreover I would occasionally do some chores and I would like to learn how to embroider with the sewing machine. Would you like to be kind enough to give me your opinion on the Viking HClass E10 if you know it, considering what I would like to do with it? Thank you for your availability, your time, your wonderful tutorials and your great energy! Where do I subscribe to your blog by email? Thank you so very much!!! I was able to finish my first quilt and make a table runner. You truly made this an easy detailed follow along in a way that was not frustrating and made sense. Thank you Melanie and God Bless You for your inspiration and seeding into others through your love of crafting. 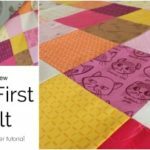 Your First Quilt video was so easy to follow! 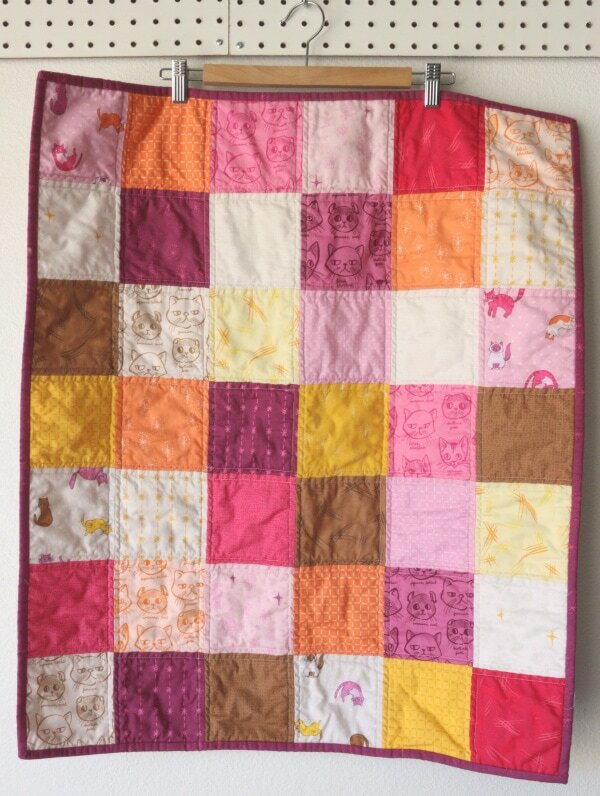 I have made several baby quilts since and continue to use your video for reminders. I can’t wait for your quilting course coming up in May. Yay! Thank you for this. I made my first quilt following these videos. You made it so easy. Where can I find the other five videos/parts of this series?